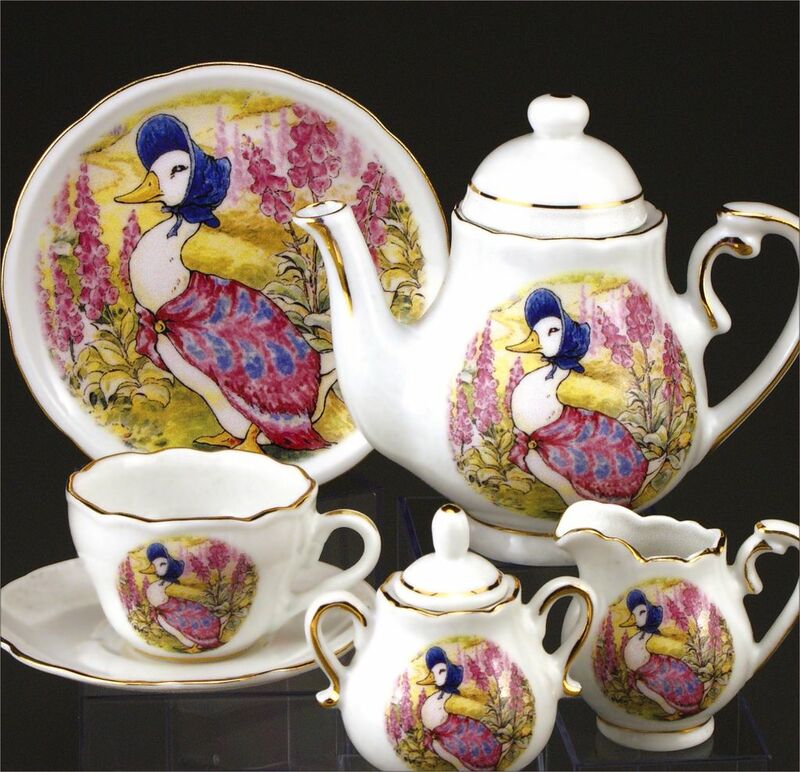 This quality children's tea set is designed with beautiful pictures of Jemima Puddle Duck presented in a trunk case. Set includes four 3¾" plates, four 1½ oz tea cups/saucers, 4 oz tea pot, sugar & creamer and four stainless spoons. Case measures 11"L x 8¾"W x 4"H. Small parts not suitable for ages 0-3.